The latest figures show that rental fraud is on the rise. We begin this article by explaining what rental fraud is and how many incidents have been reported to Action Fraud. We then explain why this type of fraud is increasing before giving tips on how to prevent yourself becoming a victim. Rental fraud is when fraudsters attempt to rent out property which doesn’t exist. Or they claim to be agents for property which has already been rented out. They deceive prospective tenants into paying an upfront fee (at least one month’s rent in advance plus a deposit) and often play the same trick on multiple victims. How common is rental fraud? According to Action Fraud, there have been nearly 19,000 reported cases of rental fraud since 2014. The fraudsters have conned their victims out of a total of £22 million or £1,316 each on average. Of these cases, 429 people were tricked out of £5,000 or more. However, it is quite possible that the total is significantly higher. Like many incidents of fraud, many victims are too embarrassed to report it because they feel they have been gullible. The Annual Fraud Indicator has put the true cost at £918 million. Apart from its obvious financial consequences, rental fraud has a psychological impact. Of those victims who reported the crime, 61% said that it had had a significant impact on their health and financial well-being. Why is rental fraud on the increase? 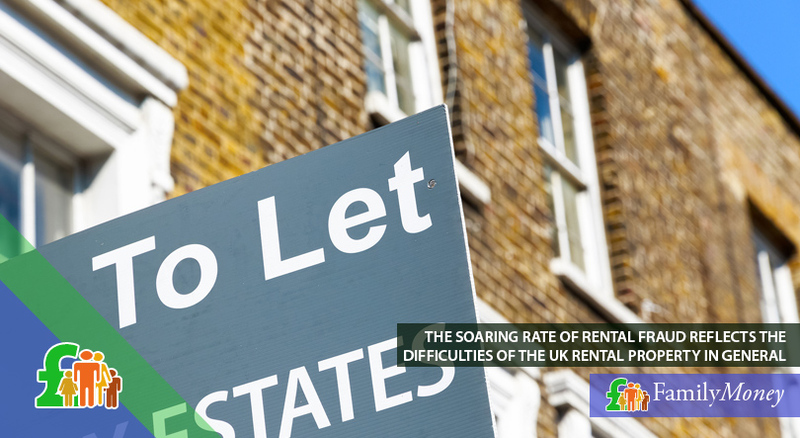 The soaring rate of rental fraud reflects the difficulties of the UK rental property in general. People face problems in finding affordable property to rent. Fraudsters take advantage of the intense competition and would-be tenants’ fears. They encourage them to send them a ‘holding fee’ so that they can secure the property and beat the competition. University students are specifically targeted by these conmen. They count on their naivety and the fact that they often live in university towns with a lack of property to rent. There is also an increase in July and August when holidaymakers pay upfront for non-existent holiday accommodation. Over a quarter (27%) of rental fraud concerns temporary holiday lettings. 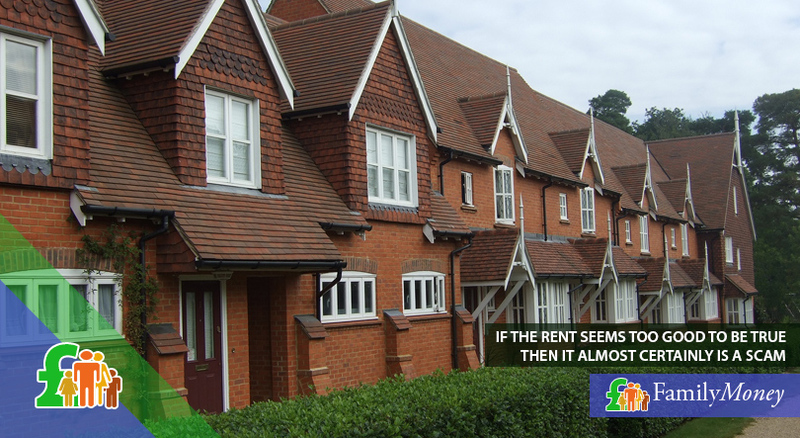 There are a number of tell-tale signs which should set the alarm bells ringing when you see property for rent. Let’s look at them. Many people prefer to check for rental property online because they can avoid paying an agent’s fee. However, they are more at risk of rental fraud when they find property in free casual ads or on social media. The listing might not be accompanied by photos, or may look authentic but the photos have been copied from other ads. The main way to avoid being scammed is to never pay any money upfront unless you have had a chance to view the property in person. If it is too far, ask someone you trust and who lives nearby to view it on your behalf. Often rental fraudsters can only be contacted by email or via social media. If they include a phone number, it is often a mobile or begins with the 070 suffix. This is a non-geographical business number and gives you no indication of their true location. If a land-line is included in the ad, make sure that it works by arranging to call the landlord at a specific time. Often conmen will copy the fax number of a business so your call will never be answered. You should be very suspicious if your landlord requests that the money for the first month’s rent and deposit should be sent by a money transfer service. This is the riskiest way to send cash as once they have received it, they can disappear without a trace. If you are a university student, the Students’ Union or the accommodation office will have a list of approved landlords. he best way to pay the money is by credit card because you are protected by Section 75 of the Consumer Credit Act. If you receive a phone call supposedly from a financial institution like a bank, don’t be taken in. Banks would never call you and pressurise you into sending the money. If you are a university student, the Students’ Union or the accommodation office will have a list of approved landlords for you to choose from. You could also check to see if the landlord is a member of professional bodies such as the NLA (National Landlords Association) or the RLA (Residential Landlords Association). Set up by two brothers after one of them became a victim of rental fraud while at university, the Rent Profile website uses the Land Registry’s online service to look up and verify property ownership in England and Wales and is completely free. For a small fee, they can also carry out a background check of the landlord. If you meet the landlord face-to-face, you could also ask to see copies of the property’s safety certificates such as for gas or electricity or their HMO licence. This stands for House in Multiple Occupation and is a requirement for landlords offering shared accommodation. Is the monthly rent too good to be true? One thing that most scams have in common is that they prey on people’s fears, insecurities and greed. When you start looking around for rental property, you will probably have an idea of the average rent in the neighbourhood or town that you’re interested in. If you then see an ad which is significantly below this market value, ask yourself why. Unfortunately, if the rent seems too good to be true, then it almost certainly is a scam. Moving house is already a stressful time and even more so if you become a victim of rental fraud and are conned out of a sizeable sum of money. However, if you follow the tips in this guide, you reduce the risk and keep your money safe. How Do Children In The UK Spend Their Pocket Money? Income Tax For University Students – Do They Have To Pay?